Daniel Solms joined the senior leadership team at Huntington University in March of 2015 as the Vice President for Enrollment Management. Solms holds a Master of Science degree in Management and Bachelor of Science degree in Communication Arts from Indiana Wesleyan University. As a veteran of more than 20 years in Christian higher education, Solms has served in the admissions and financial aid offices in a variety of capacities. 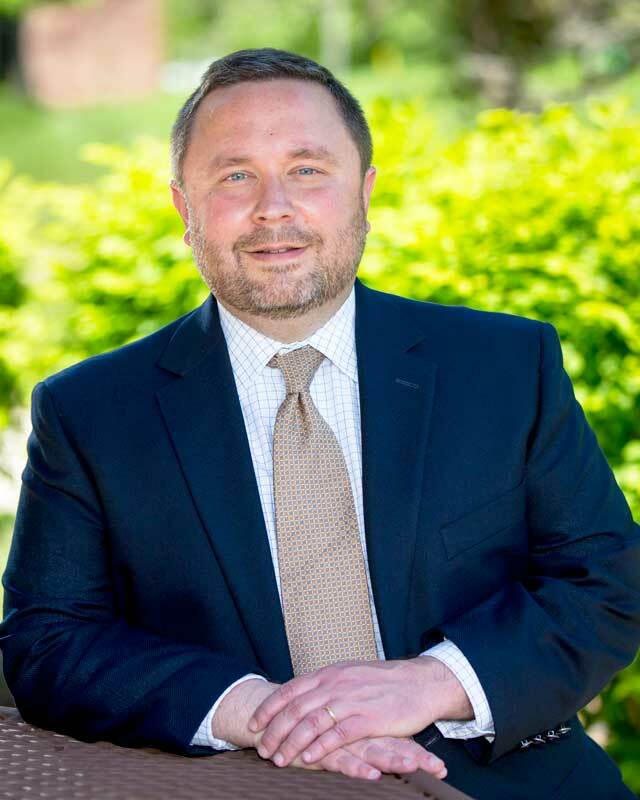 Prior to his role as director of financial aid, he served as director of admissions at Indiana Wesleyan from 2004 to 2013. His accomplishments include leading the residential campus to its highest enrollment years to date as well as increasing the number of campus visitors and freshman applicants. In his new role at Huntington University, Solms designs, executes and monitors the recruiting system for undergraduate and graduate programs; updates and implements the institutional marketing plan; provides executive leadership to the university’s financial aid program; and assists with the institution’s student success initiatives. He invests in Christian Higher Education because he believes that God uses the environment to transform the lives of young adults. Solms loves being part of the Huntington University community because of the warmth and genuineness of the students. He is passionate about the commitment of marriage and helping equip others to fulfill God's command to honor the covenant. His calling to serve in Christian Higher Education led him to previous leadership roles in both Admissions and Financial Aid at Indiana Wesleyan. Solms and his wife, Layla, have two children. They are all actively involved at Fairmount Wesleyan Church where Solms serves as a Sunday School teacher and board member. In his spare time he is an avid sports fan, especially the Colts and Cubs.